Let your students work up an appetite for writing with this opinion writing prompt. First students will consider their favorite food while they fill in the structured pre-writing planner, then they can use the second page to write their opinion essay. 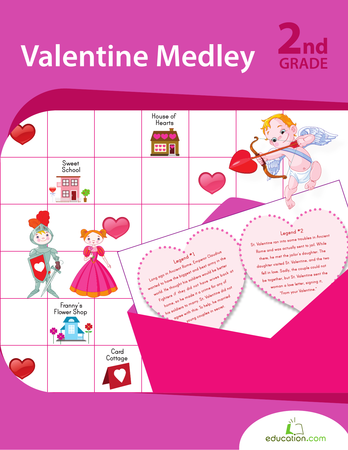 Kids can write, graph and read their way through Valentine's Day with a sweet mix of history, writing and math! Kids will explore both the mythical and practical side of this day. Encourage your second graders to develop a well-reasoned argument about the length of recesses with this writing prompt and rubric. Students can use the pre-writing planner to develop their argument, then they'll write out their opinion on page two. Help your students solidify their use of transition words with this cute version of the classic ugly duckling story. By helping to fill in the missing transition words throughout the narrative, students will flex their sequencing and organization skills. Use this this biography timeline to organize your biography before writing it. Young writers will traverse the story mountain to create a narrative plot of their own! Students will consider various story elements, including characters, setting, climax, problem, and solution with this great visual aid. Can you read 100 books in a day? Run a mile in 30 seconds? 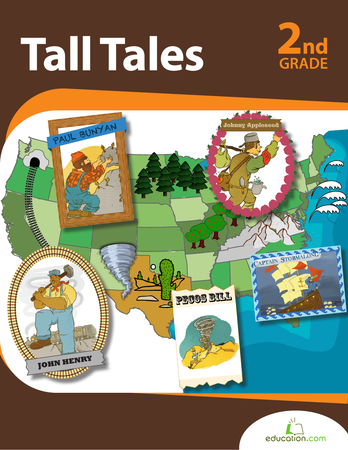 Kids can compare fact and fiction with Pecos Bill, Paul Bunyan and others to learn about story structure, character analysis and hyperbole. Learn more about your students' favorite school subjects with this engaging opinion writing prompt and rubric. Students will contemplate their favorite subject while they fill out the pre-writing planner, then they'll write out their essay on page two. Make personal narrative and dialogue prep a breeze with this organizer! Students will practice sequencing and prewriting as they put together their personal narrative about a time they were surprised by something or someone. 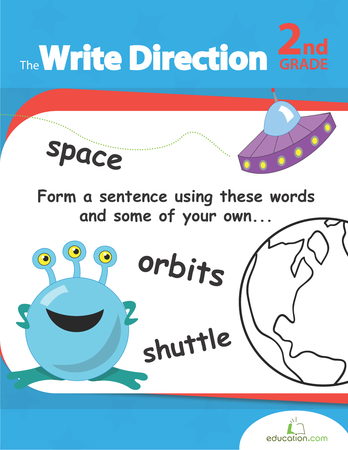 Get your second grader's creativity flowing with this workbook, boasting all of the right stuff he needs to create events in a sequence, and eventually even pen his own prompts! Whether your student is new to paragraph writing, or needs more practice, this worksheet is a wonderful introduction, practice, or review. No more abrupt “The End”s! Students will organize and reflect on their narrative’s problem and solution as they work toward a strong ending. Learning to add details is an important skill for early writers. Your second grader will be guided to think of details to write about a pet in this worksheet.